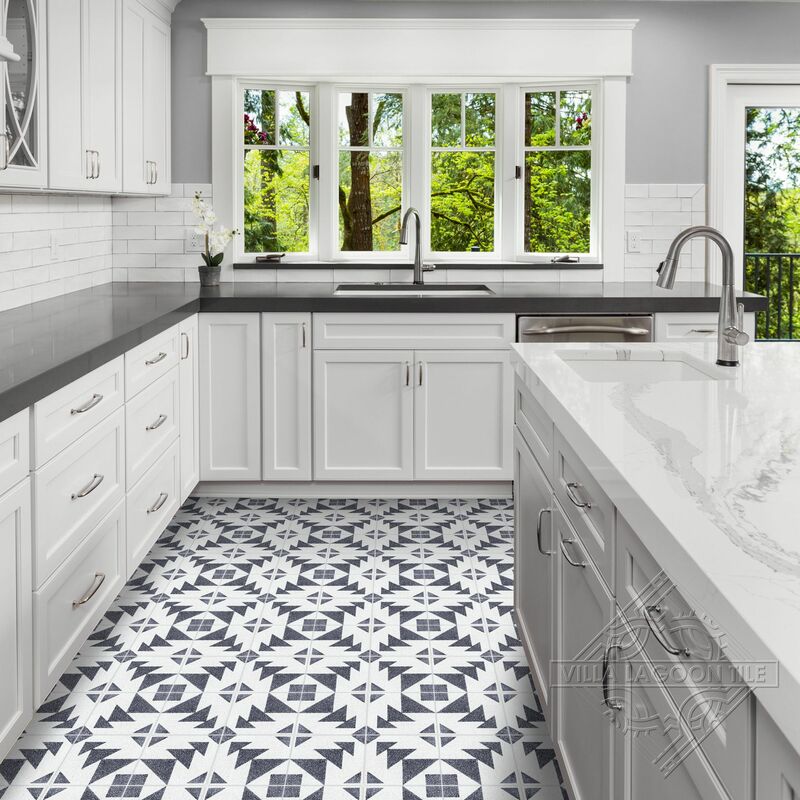 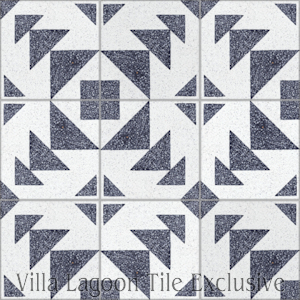 "Code Talker B Terrazzo (PS)"
This original Villa Lagoon Tile cement tile pattern was inspired by the use of triangles in Navajo and other Native American art of the Southwest. 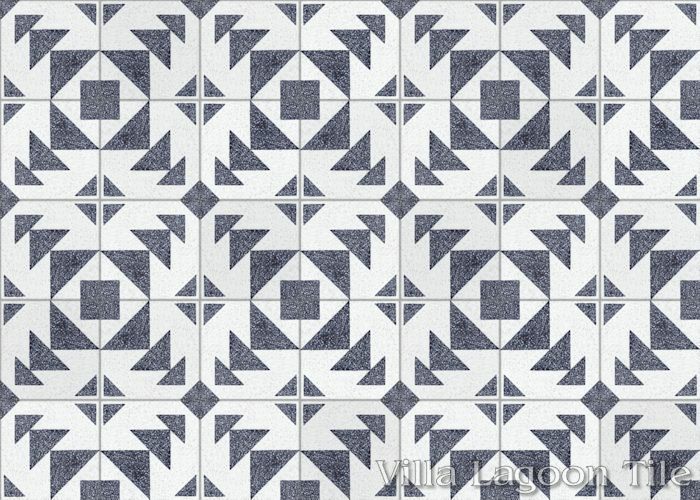 We named our cement tile "Code Talker" in honor of the famous Navajo communications specialists of World War II. 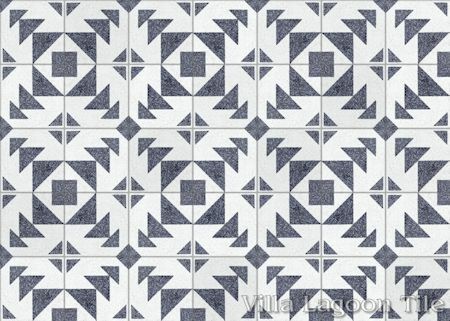 Essentials Price: $3.99 per tile ($9.18 / square foot) 5.22 square feet. 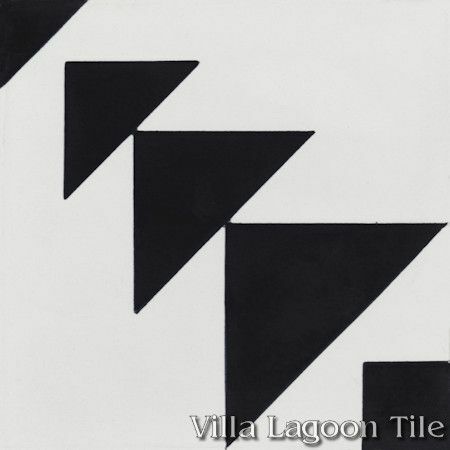 Standard Price:$7.04 per tile ($14.35 / square foot)12 tiles per box. 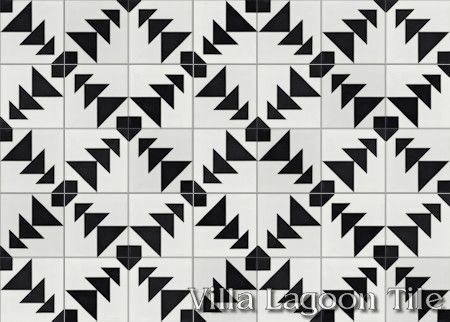 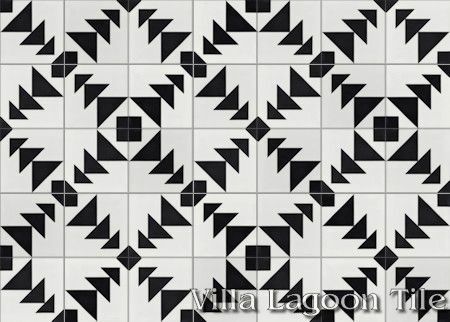 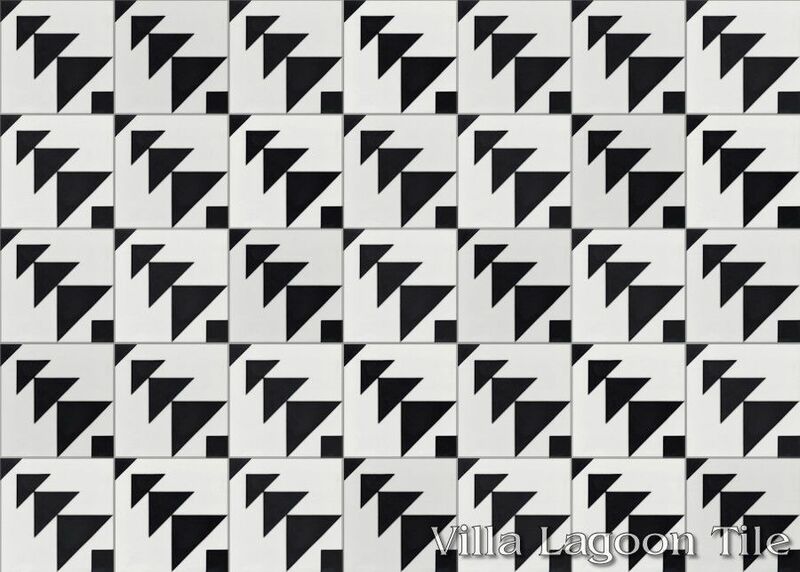 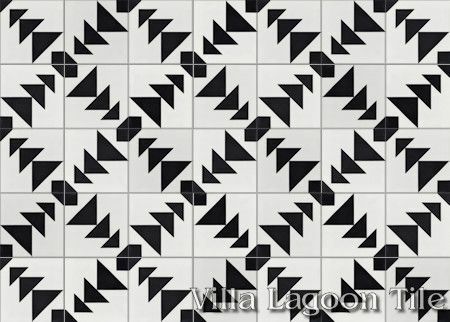 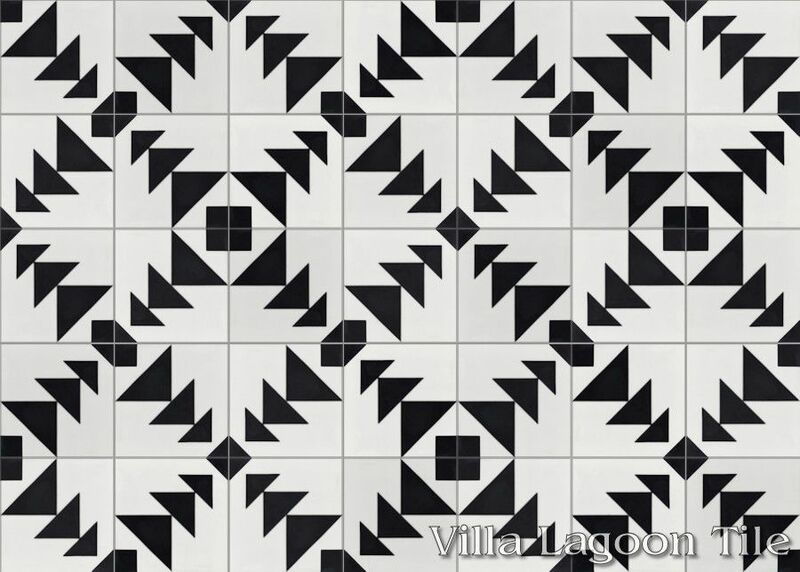 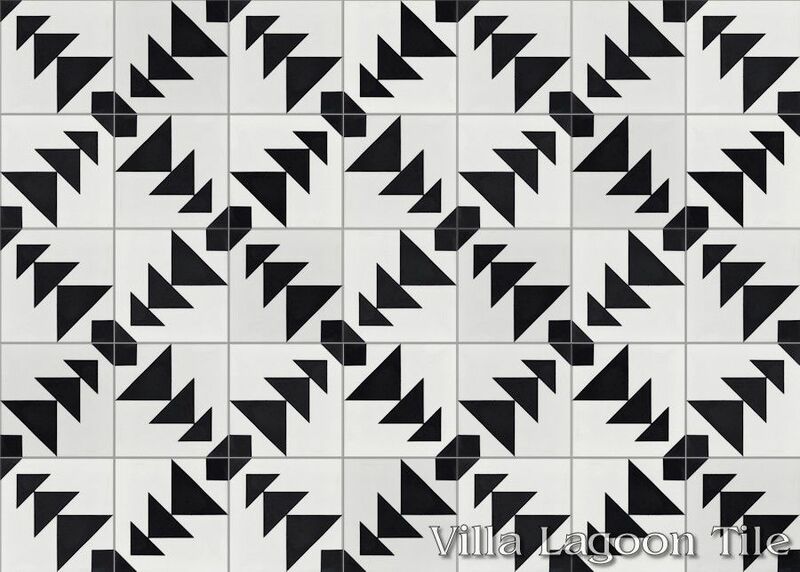 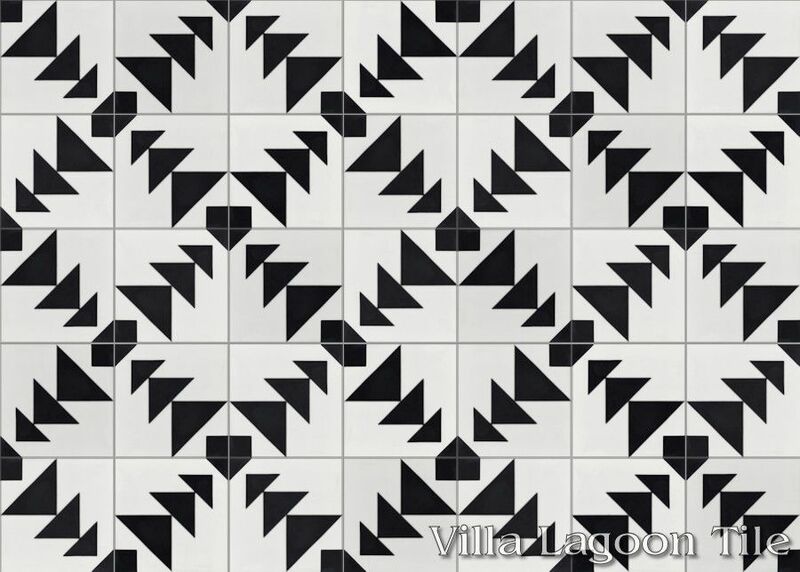 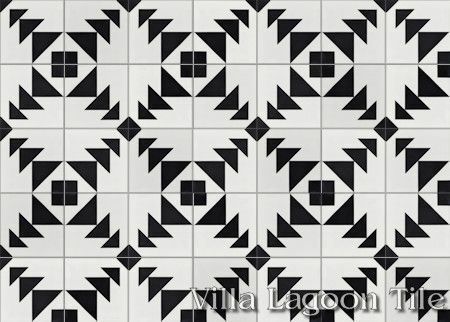 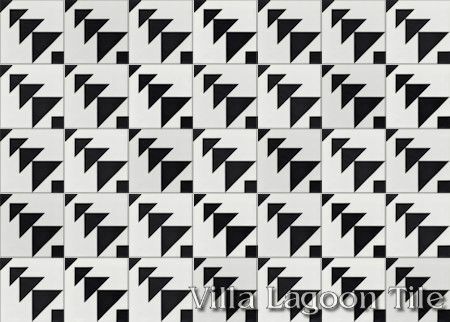 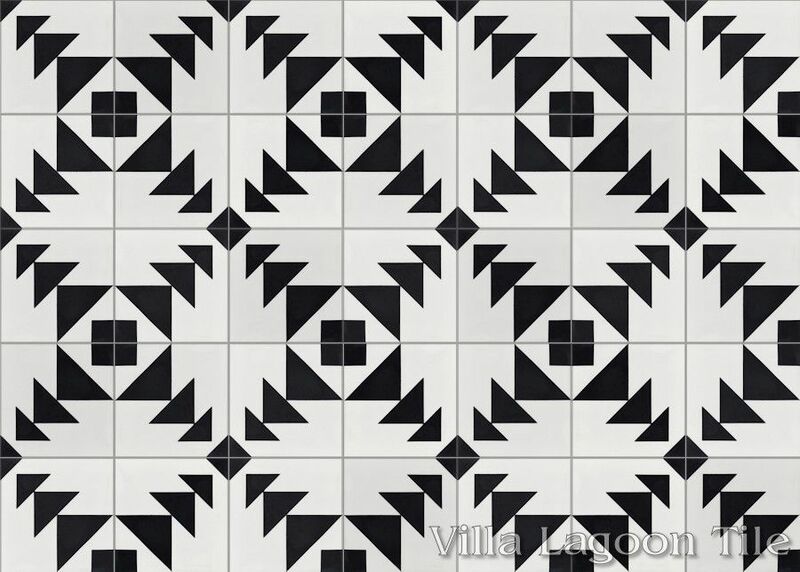 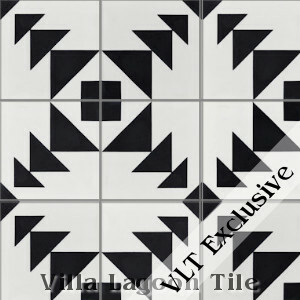 Villa Lagoon Tile's "Code Talker A" cement tile pattern using Black and White from the South Beach Palette. 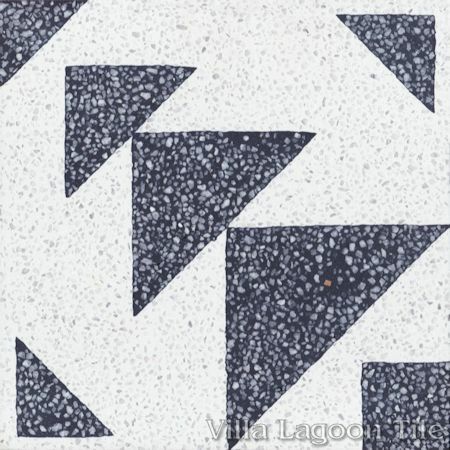 Villa Lagoon Tile's "Code Talker B" cement tile pattern using Black Terrazzo and White Terrazzo from the South Beach Palette.